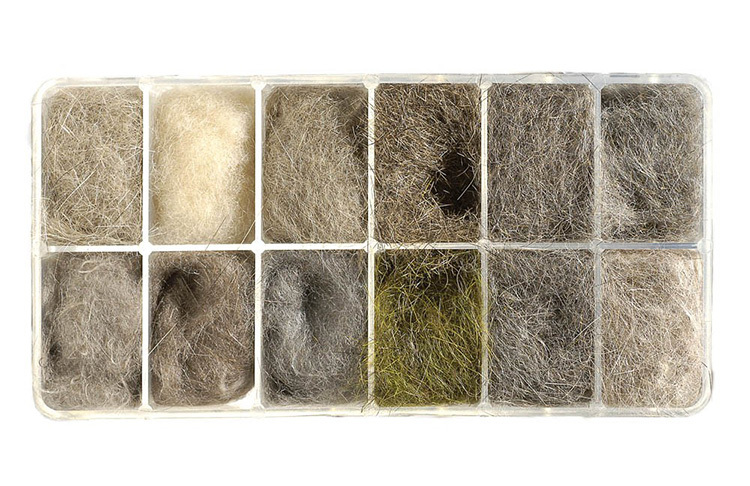 A selection of Natural Furs in a handy 12 partition dispenser. Perfect for the fly-tyer who wants to dress dry fly and nymph patterns. Light Hare's Mask, Dark Hare's Mask, Olive Hare's Mask, Muskrat, Mink, Coyote Mask, Camel, Australian Opossum, Fox Squirrel, Grey Squirrel & Pine Squirrel.